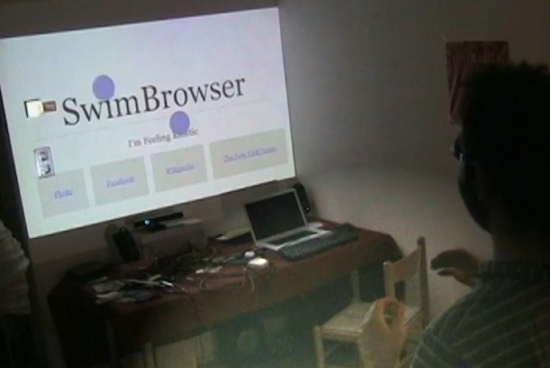 David Stolarsky's SwimBrowser is a different breed of web browsing. How? You swim with your hands to navigate the internet. It was developed as part of an OpenNI developer challenge, and it uses breast stroke gestures to zoom in and out on a web page. You can also navigate tabs and visit sites with gestures. Stolarsky however, didn't demonstrate how it would be like to input text . In other news, Microsoft has officially announced its plans to embrace the developing hacks with its Kinect sensor. This would definitely spell more hacks in the future, and hopefully the really good ones become commercialised for our use.